As far back as the Galaxy S8 there have been rumors of an in-display fingerprint reader. Samsung might finally make the jump next year with the Galaxy S10, but it’s not as simple as that. There will be three S10 models and two different fingerprint readers, claim industry insiders. Samsung has reportedly partnered with Qualcomm to use ultrasonic readers in the two higher-end S10 models while the third model will use an in-house optical reader (the type used in current phones). An ultrasonic reader is about 3 times more expensive than an optical one. However, it captures a 3D image of the finger, making it more secure but also more resilient – it’s not affected by grease or water, for example. The Samsung Galaxy S10 is expected to be unveiled in February and become available in March. 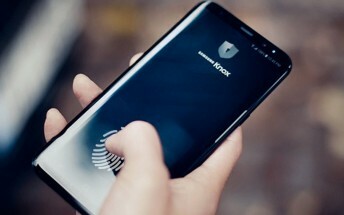 Analysts from IHS Markit are predicting that next year a whopping 100 million phones with an in-display fingerprint reader will ship, marking a clear transition away from the old school readers.